Fountain Valley, CA—Kingston Digital, Inc., the flash memory affiliate of Kingston Technology Company, Inc., announced the refresh of its Gold microSD UHS-I Speed Class 3 (U3) card. 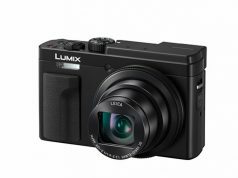 Its performance and form factor now make this microSD card suited for 4K recording devices such as GoPro or other Ultra HD capable cameras and drones. 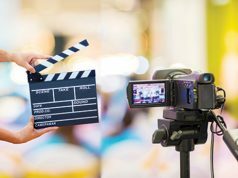 The microSD UHS-I U3 card specs enable shooting 4K video at up to 30 frames per second and capturing footage at 120 frames per second in Full HD 1080p. The card is built to be rugged and perform in extreme conditions; specs state it operates in temperatures from -13ºF to 185ºF. The flash memory card is also waterproof, vibration/shockproof, temperature proof and vibration proof. 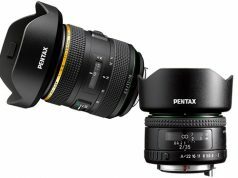 In addition, with up to 64 gigabytes of capacity, the card provides ample space for capture and storage. The increased write speeds (45MB/s) of the Gold microSD UHS-1 U3 card permit users to shoot in continuous burst mode. Furthermore, its higher sustained read speeds of up to 90MB/s ensure video integrity by reducing stutter. 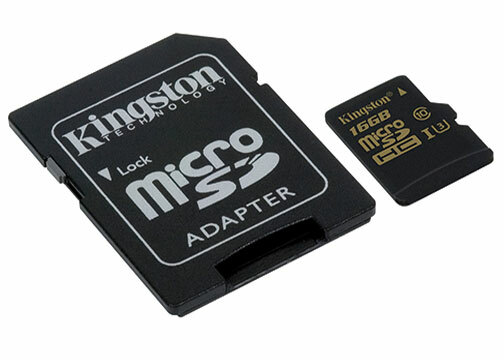 Kingston’s microSD UHS-I U3 card is backed by a lifetime warranty and free technical support. 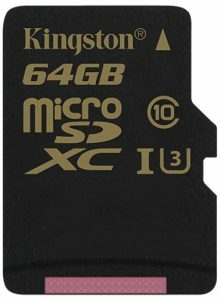 The card is available in the following capacities and suggested retail prices: 16GB, $18; 32GB, $37; and 64GB, $73. An optional SD card adapter lists for $18. kingston.com.